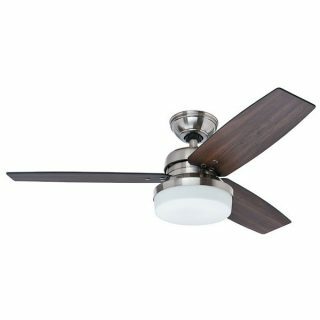 Galileo - Hunter Ceiling Fan 48"
The Galileo ceiling fan has three timber blades with modern interchangeable switch blades of Dark Walnut/ Oak and a 60 watt motor. This ceiling fan package comes complete with lights. The Galileo ceiling fan with light has three timber blades. 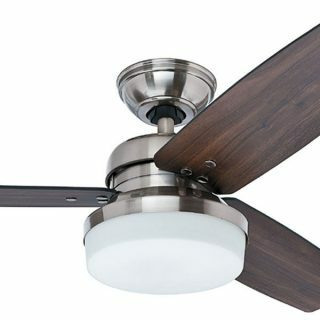 This model comes with a Brushed Nickel body and Dark Walnut/ Dark Oak blades. 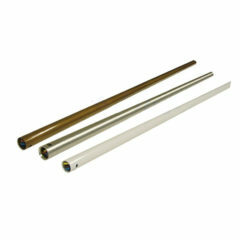 This package includes a light kit with 2 x E27 sockets which are rated at max 14 watts each. 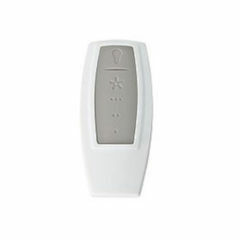 The Galileo ceiling fan is supplied with a three speed wall control and light kit however a remote control can be purchased separately and used as an accessory. This modern three blade ceiling fan has a reversible function for both summer and winter use. Light Kit: This package has the light kit included. It features 2 x E27 Sockets which are rated at max 14 watts each. Remote: This package is compatible with the Hunter remote control (sold separately).